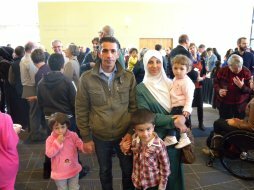 New immigrant residents will be officially welcomed to Nanaimo during a special reception being hosted by the City of Nanaimo on Saturday, March 25 at 2:00 pm. This event is held yearly with Municipal, Federal, Provincial and School District elected officials, Snuneymuxw First Nations, RCMP, staff and board members of the Immigrant Welcome Centre and City of Nanaimo staff all in attendance. The welcome reception will be held in the Newcastle Island Lobby of the Vancouver Island Conference Centre (101 Gordon Street) on Saturday, March 25 at 2:00 pm.